ThinkSTEAM: Tell me about yourself and how Ears for Years started? 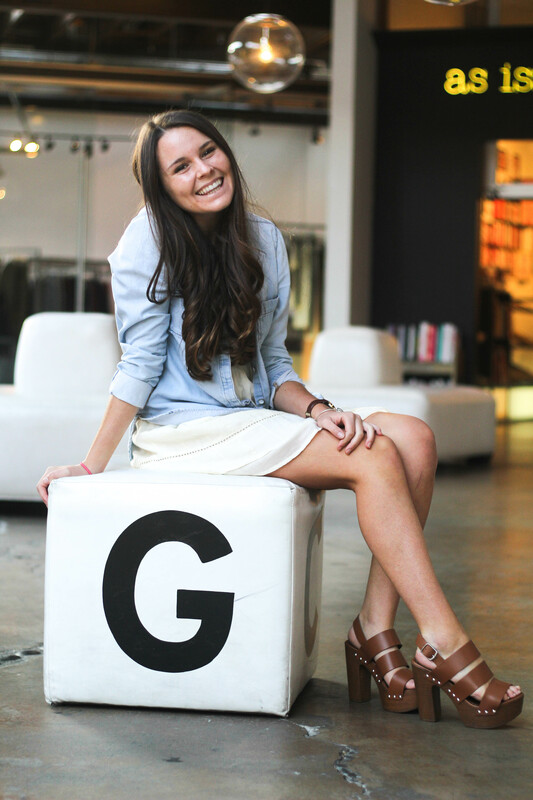 Grace: My name is Grace O’Brien and I am a freshman at Stanford University. I’m the youngest of three girls. My family is my rock, my main support through everything I do. Since I was very little, my main extracurricular activity has been theater. One summer I was given the opportunity to be a teacher for a play at a deaf theater company. My dad had just been diagnosed with a brain tumor and underwent some permanent hearing loss, so I thought it was a great opportunity for me to get involved in something that had personally affected me, while also teaching something I love: theater. Many of the children in the program had just been fitted with hearings or cochlear implants, and I saw how much progress they made with their speaking and communication skills over the summer. It was then that I realized hearing aids can be crucial for the development and learning of many deaf children, and I wanted to help other kids who couldn’t afford them. Many hearing aids have batteries that cost up to a dollar a week, a fee many families in developing countries can’t pay, so I knew I had to come up with another solution. That’s when I decided to use solar-powered hearing aids – they are sustainable, eco-friendly, and affordable. I saw a problem, found a solution, and that’s when Ears for Years was born. ThinkSTEAM: What are some of the hurdles and obstacles you faced with Ears for Years? Grace: Being a teenager and running a nonprofit comes with many hurdles because I have to balance all the regular “teenage stuff” along with Ears for Years. I have to make time for school work, which is always my first priority, family and friends, other activities, as well as all the Ears for Years business: traveling, fundraising, and so much more. Making time for everything can be a bit overwhelming, but I love it! A more specific challenge, is that there are often problems getting hearing aids through customs. It’s just something I have to work through. ThinkSTEAM: What are some of your accomplishments with Ears for Years? Grace: I’ve fit over 200 children in five different countries with hearing aids. I’ve also won different awards, such as the Gloria Barron Prize for Young Heroes and President Bush’s Points of Light award. ThinkSTEAM: What do you hope to achieve with Ears for Years in the future? Grace: I hope that I can continue to help deaf and hard-of-hearing children around the world through hearing aids, as well as through other methods. I want to educate more communities on deaf culture. By spreading the word and fighting for people with disabilities, I hope I can find ways to convice countries that don’t already have accommodations to implement programs and accommodations for children with disabilities. This spring, I’m planning to go to Bali (as long as my professors can accommodate) and fit hearing aids as well as conduct research on hearing impairments in Asia. I hope, through research, I can find new ways to help! ThinkSTEAM: What is your advice to high school girls who want to help their community? Grace: There is always something you can do to help – no matter how small or big the gesture is! Find something you are passionate about and don’t be afraid to pursue it. I tiny idea can bud into so much more! My moto has always been: I don’t know what I want to be, but I want to be something great. I think this is a great moto for many young adults. Your life has the potential to take so many paths, and when you’re young you don’t need to feel set on one road. Don’t worry so much about the destination; enjoy the journey of life and wherever you go try to make a positive impact on your community.